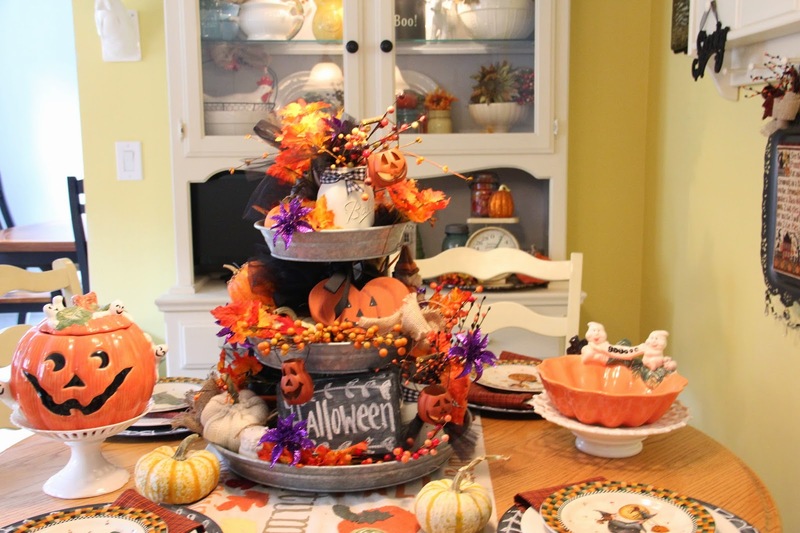 The tiered tray on my kitchen table has been redone for Halloween . 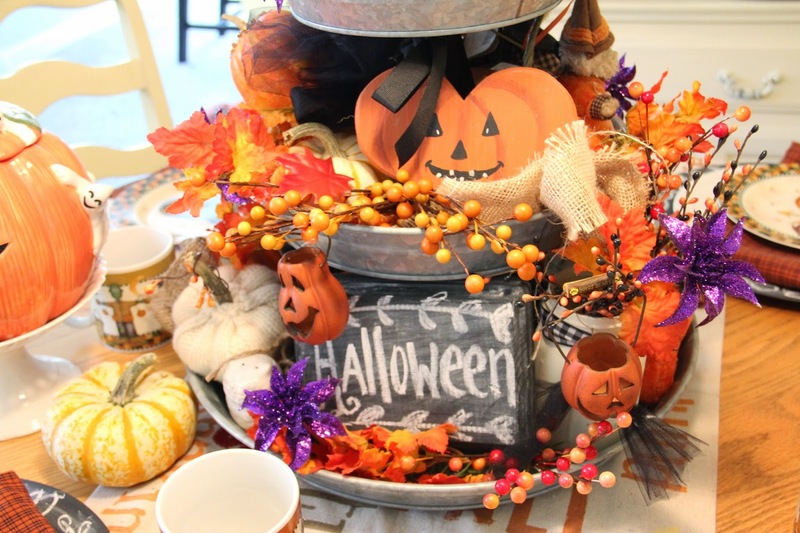 I got this tray at Sam's club this spring and have loved decorating it for the seasons ! I left in some of the Fall things , like leaves and berries ..Took all the sunflowers out and added in these sparkly purple flower picks. Some black tulle bows..The painted mason jars are still on the tray .. There are still a couple sweater pumpkins in there and alot of real gourds from our pumpkin picking. 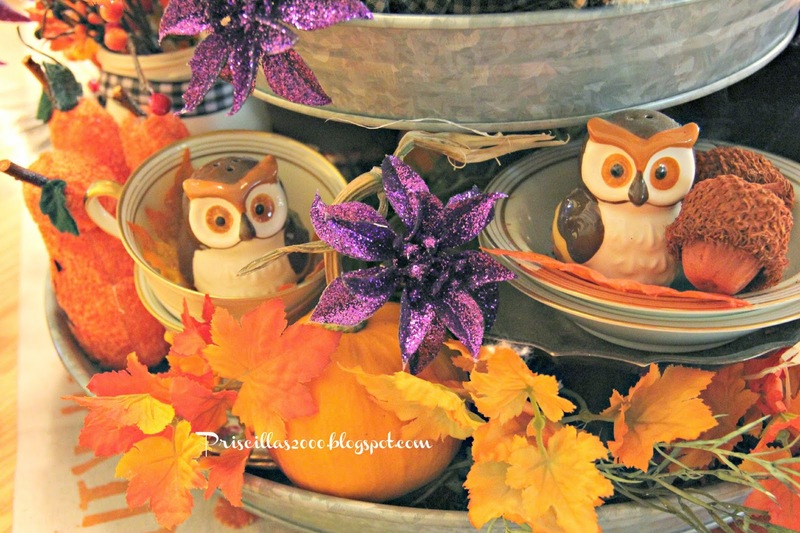 Love these little owl salt and pepper shakers from BHG at Walmart. A little bear witch and a crocheted pumpkin .. another one of the owl BHG salt and pepper shakers ..this one is all white ..
Love those little jack O lantern buckets that are hanging from the berry picks ! 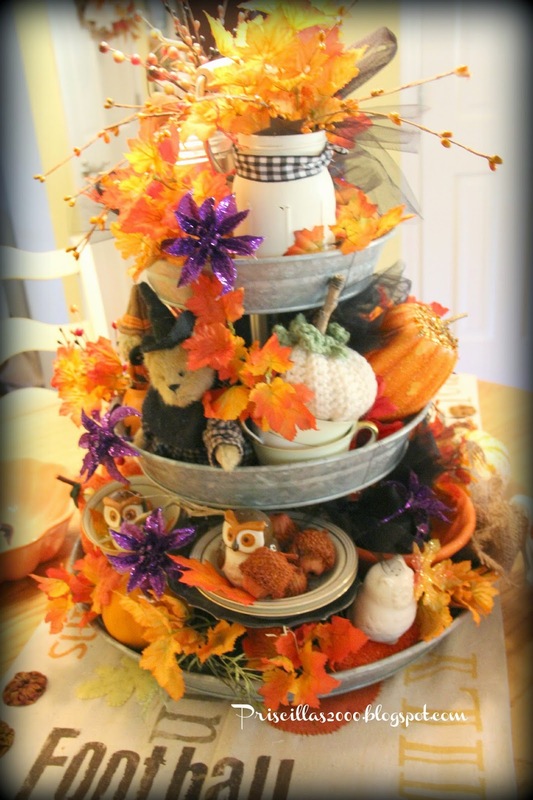 No one does a holiday centerpiece like you Priscilla. I adore every bit of it! Priscilla , your center piece is gorgeous!! I chose not to use traditional autumn colors this year. But looking at this beautiful center piece makes me think twice. That tray has really been a great decorating tool! I love all your dishes! Priscilla, I have loved that tray since the first time you showed it. 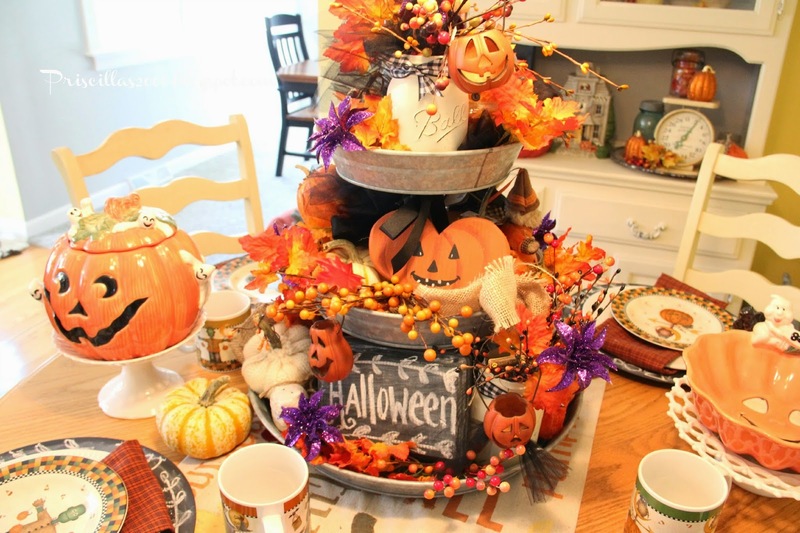 You always decorate it so beautifully for every season! I love the little owl S&P shakers. I almost bought them, but resisted. I may regret that. lol! thanks for sharing with SYC. Ohhh.. I love it! Looks like a party waiting to happen! Such a great focal point for your kitchen, Priscilla, and I love the banner you made for your mantle in your previous post! 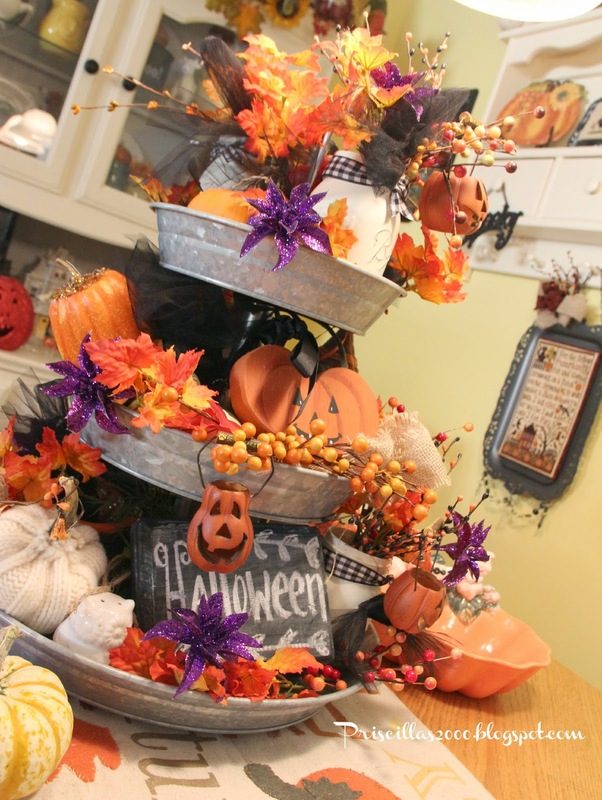 wonderful idea for the 3 tiered tray. love it. I love your galvanized tray my friend; I've never seen them around here on sale, therefore I'll have one made. The way you have arranged it for Fall it's simply gorgeous! 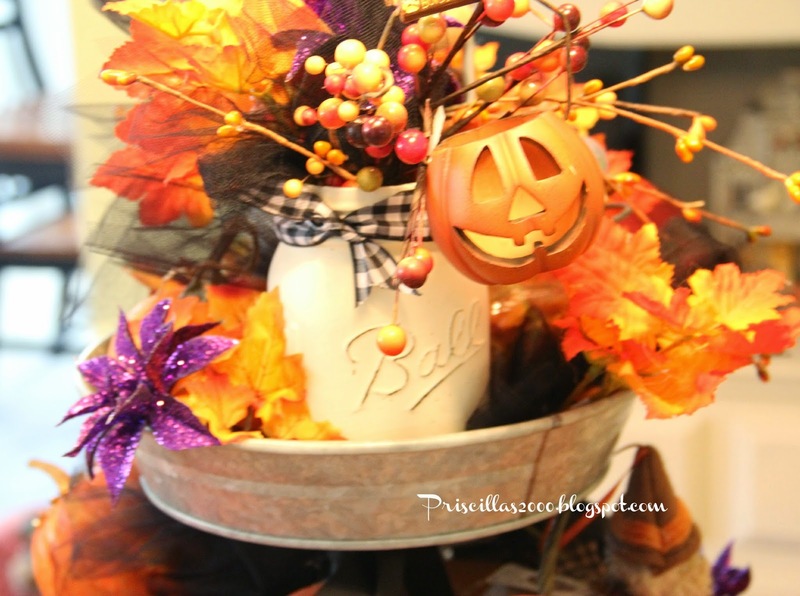 This an amazing, cheerful Halloween centerpiece. 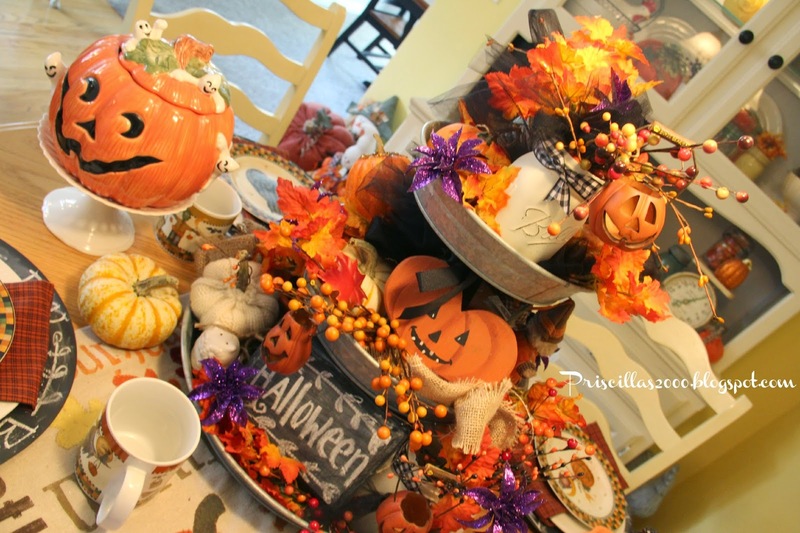 I would love to create something similar for my table so that my kids could enjoy it. Thanks for the inspiration! 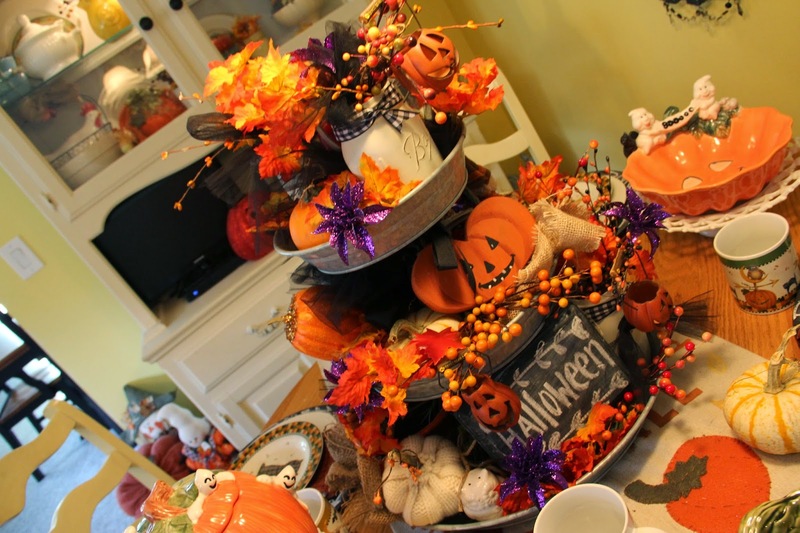 I love your centerpiece. So colorful and fun. Makes me smile. 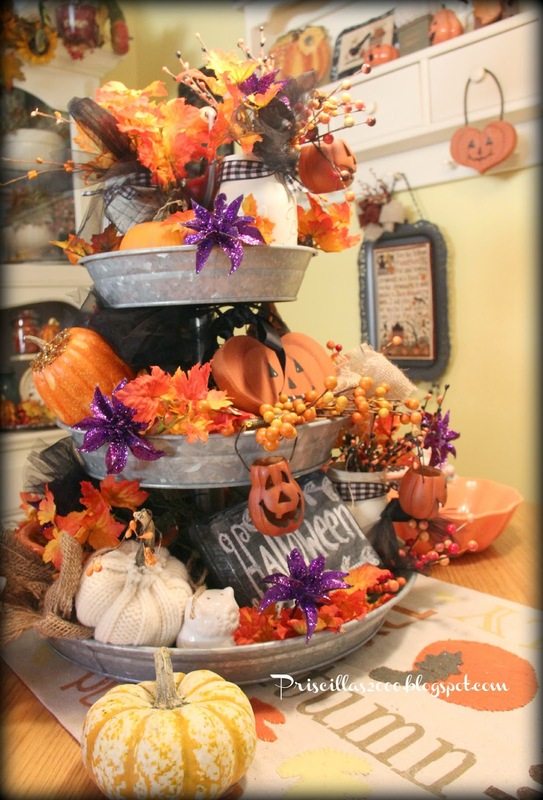 Your tiered tray is adorable!